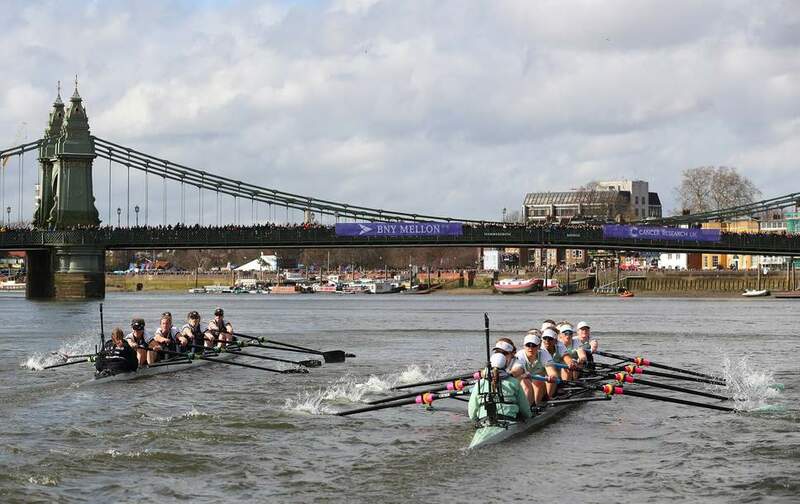 Sunday April 7th will see the 165th Boat Race between Oxford and Cambridge. This annual grudge match between the two oldest universities in England remains to this day the highest profile sporting event in the world contested exclusively by amateur athletes. As we are the Varsity Hotel Cambridge, you know which side we’ll be cheering for. Oxford and Cambridge have been rivals for centuries. The very first Boat Race in 1829 was the result of a challenge issued due to this rivalry. And even to this day the losing side from each race must formally challenge the victor to a rematch. Initially an occasional novelty, it took until 1856 for the Boat Race to become an annual event – a tradition only broken by the two World Wars. It is this rivalry that has shaped the race’s history and its current incarnation. Without it, who would consistently choose to race upstream on a mighty river’s tidal basin just as the flood tide comes in? After all, the combination of high winds, a powerful river stream and flood tide conditions can result in some very rough water. Rough enough to cancel your typical international regatta. But due to this intense rivalry, the Boat Race still goes forwards even under dire conditions. And if one or even both boats sink as a result (as happened in 1912), then tough. This tidal stream also determines the boats’ tactics. Since the stream is fastest in the deepest water, both boats tussle for the better position. This results in the two boats racing so close to each other on the extremely wide river as to occasionally clash oars. Now if either crew manages to power more than a boat’s length ahead of the other they are allowed to cut inside to occupy the same “lane”. This results in an almost unassailable advantage – only three times in history has a boat returned from this inferior position to win the race. As a result, crews need to start fast like a sprinter. But then be prepared to keep up that gruelling pace for the entire 4.2 mile course, if need be. This brings up an interesting question. Of all the potential sporting contests Oxbridge could have chosen as their highest profile clash, why rowing? After all, it’s a long way from being the most popular of sports in the country. The answer is that the vast majority of modern sports widely played in this country either did not exist or were in their infancy 200 years ago. Football, cricket, rugby, tennis – none had yet come close to their current popularity. But, due to Britain’s maritime heritage and the navigable rivers Oxford and Cambridge are built on, rowing for fun was a popular pastime. True, it was something of a quaint tradition and a rather niche sport practised most by public school boys. But nevertheless it is a tradition which continues to this day and is now far more widely enjoyed. As well as many College Boathouses, the river Cam downstream of Jesus Lock (itself visible from the Varsity Hotel) hosts several rowing clubs open to all. 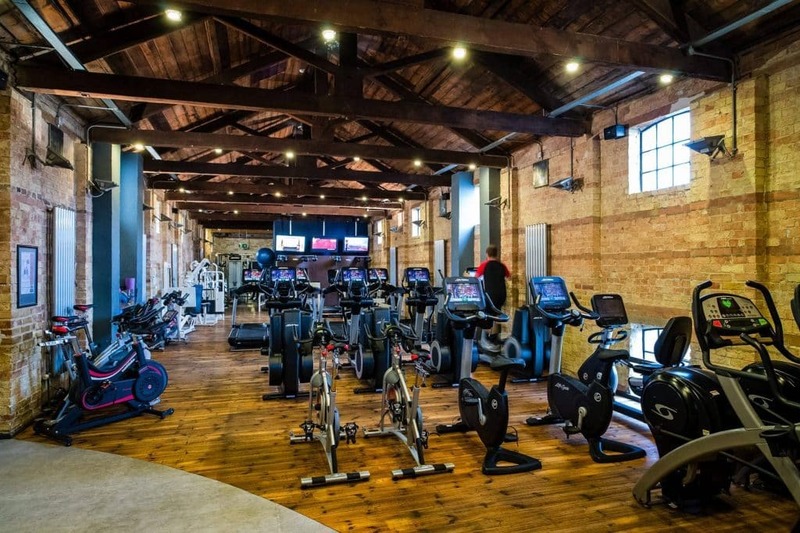 This year, James Cracknell, OBE, British athlete, rowing champion, and double Olympic gold medalist has been training at the Glassworks Gym over the past eight months in preparation for the big race. If Cambridge wins, The Varsity Hotel will host a celebration for him on our iconic Roof Terrace.